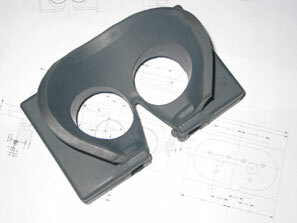 The client required the design of a new mould and subsequent production of the mask, which was based on an obsolete design originally produced in the 1960s. Our only guide was the original 2-D drawing. We produced a new updated 3-D drawing from the original using traditional drawing techniques to make the transition between the two, with the new mould manufactured in-house from the drawing. 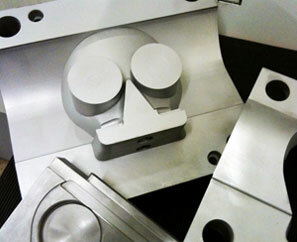 Following final client approval, the masks were manufactured from anti-bacterial EPDM. 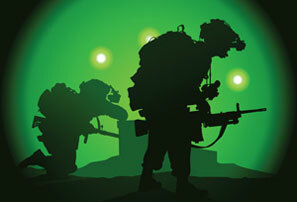 We produce a range of precision components for use by clients in the defence sector, products ranging from simple rubber seals and gaskets to more complex, bespoke developments such as described in the night vision mask study. Working with a wide range of rubber types, we meet the high standards required in this sector with quality and traceability underpinned through our ISO9001 accredited systems.